Posh Beckham goes to bed naked, except for gloves and socks to soften her hands and feet. And Guy Ritchie has slammed Madonna, saying she wears a plastic suit to bed after applying an entire jar of $800 anti-aging crème. While we’re not going to recommend that you take it to those extremes, we do have a few ideas on how you can win the battle against dry feet, elbows, and knees this winter. 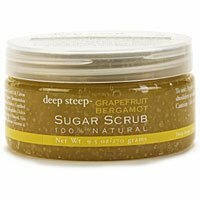 First, exfoliate with a gentle scrub like Deep Steep Sugar Scrub in Grapefruit Bergamot ($26). It’s a circulation-boosting blend of sugar crystals, vitamins A & E, shea, cocoa, and mango butter, that will gently remove rough skin and leave behind soft, moisturized skin in its place. 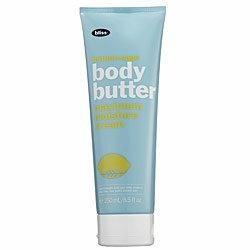 Then apply a deep moisturizing lotion like Bliss Lemon + Sage Body Butter ($35). The citrusy, moisture drenched crème is enriched with antioxidant vitamins A & E, and arnica extract. Plus, it smells amazing and therefore you will too.